After a comprehensive evaluation that includes an ultra-sound examination of the veins, our vein specialists will determine the optimal treatment for each patient's needs. The VNUS Closure Procedure, an alternative treatment option to traditional vein stripping surgery, brings state-of-the-art technology to an age-old disease. The Closure procedure is performed on an outpatient basis. Using ultrasound guidance, your physician will position the Closure catheter into the diseased vein through a small opening in the skin. The slender catheter delivers radiofrequency (RF) energy to the catheter, which heats the vein wall. As the vein wall is heated and the catheter withdrawn, the collagen in the wall shrinks and the vein closes. Once the diseased vein is closed, blood is re-routed to other healthy veins. Following the procedure, a simple bandage is placed over the insertion site, and additional compression may be provided to aid healing. Your doctor may encourage you to walk at frequent intervals and to refrain from prolonged standing and strenuous activities for a period of time. Patients who undergo the Closure procedure typically resume normal activities within a day. Click below to view a short video about the VNUS Closure procedure. Ambulatory phlebectomy is a method of surgical removal of surface veins. This is usually completed in our office using local anesthesia. Incisions are tiny (stitches are generally not necessary) and typically leave imperceptible puncture mark scars. Post-operative discomfort is minimal. After the vein has been removed by phlebectomy, a bandage and/or compression stocking is worn for a short period. Sclerotherapy is a cosmetic medical procedure used to treat varicose veins and spider veins. A tiny needle is used to inject a solution directly into the vein. The solution irritates the lining of the vessel, causing it to swell and stick together, and the blood to clot. Overtime, the body will absorb the treated vein. Mild discomfort may occur, and a cramping sensation may be felt for 1 to 2 minutes when larger veins are injected. 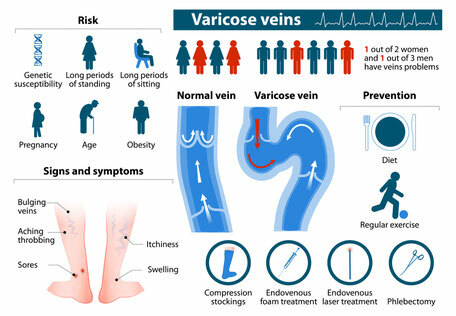 The number of veins injected in one session is variable, depending on the size and location of the veins, and the patient's overall medical condition. Anywhere from one to several sclerotherapy sessions may be needed for any vein region. Medically prescribed support hose and/or bandages may need to be worn for several days to several weeks to assist in resolution of the veins. In general, spider veins respond to treatment in 3 to 6 weeks, and larger veins respond in 3 to 4 months. In the United States it is estimated that up to 1.8 million people are afflicted with venous ulcers which are the most common chronic wounds treated in wound care centers.1,2 More than half of the venous ulcers treated are recurring ulcerations, or wounds that might have healed before, but later return. Conventional treatments for venous ulcer patients include the use of antibiotics, salves, and compression therapy. But these treatments have often resulted in high failure and recurrence rates. The VNUS ClosureRFS™ stylet allows our practice to offer you a minimally-invasive option to traditional surgery for the venous ulcers on your legs. It is the only endovenous ablation device specifically cleared by FDA for the treatment of incompetent perforating veins, the most common origin of your leg ulcers. This outpatient treatment can be either the primary procedure or it can be performed in addition to another outpatient leg vein Closure™ procedure, using the VNUS ClosureFAST™ catheter, when chronic venous insufficiency disease of your large saphenous veins has been diagnosed. 1. Barwell JR, Davies CE, Deacon J, et al: Comparison of surgery and compression with compression alone in chronic venous ulceration (ESCHAR study): Randomised controlled trial. Lancet. 2004;363(9424):1854–1859. 4 Nelzen O, Fransson I. True long-term healing and recurrence of venous leg ulcers following SEPS combined with superficial venous surgery: a prospective study. Eur J Vasc Endovasc Surg 2007;34:605-12. 5 Zamboni P, Cisno F. et al. Minimally invasive surgical management of primary venous ulcers vs. compression treatment: A randomized clinical trial. Eur J Vasc Endovasc Surg 2003;25:313-18. 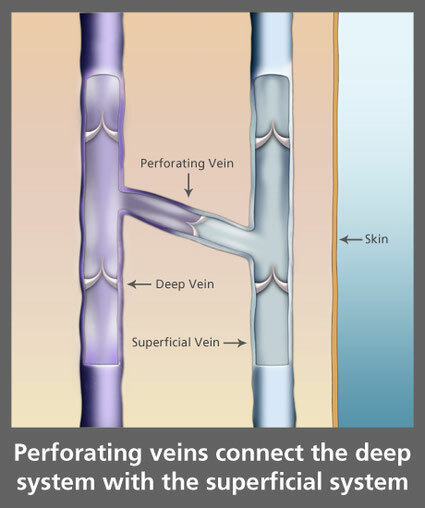 The VNUS Closure™ procedures treat leg veins in the superficial and perforating systems that have venous reflux, the underlying cause of varicose veins. 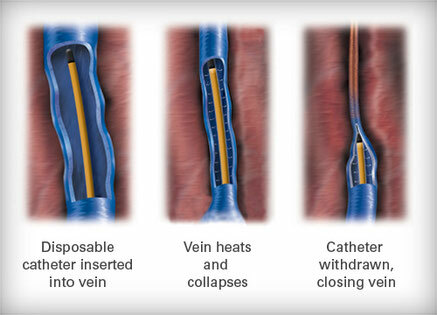 Patients with thrombus (blood clots) in the vein segment to be treated should not have the VNUS Closure procedures. Individual results may vary based on each patient’s condition. As with all medical procedures, potential risk and complications exist including vessel perforation (when the catheter punctures the vein wall), thrombosis, pulmonary embolism (when a blood clot travels to the lungs), phlebitis (inflammation of the vein), infection, nerve damage, arteriovenous fistula (an abnormal connection between an artery and a vein), hematoma (bruising), and skin burn. Consult with a physician to receive more information. We know how important it is to find the right physician and Dr. Katz is dedicated to making you feel at ease throughout the exam and the procedure. Call today to book an appointment. Copyright 2018 Dekalb Vein Center All Rights Reserved.